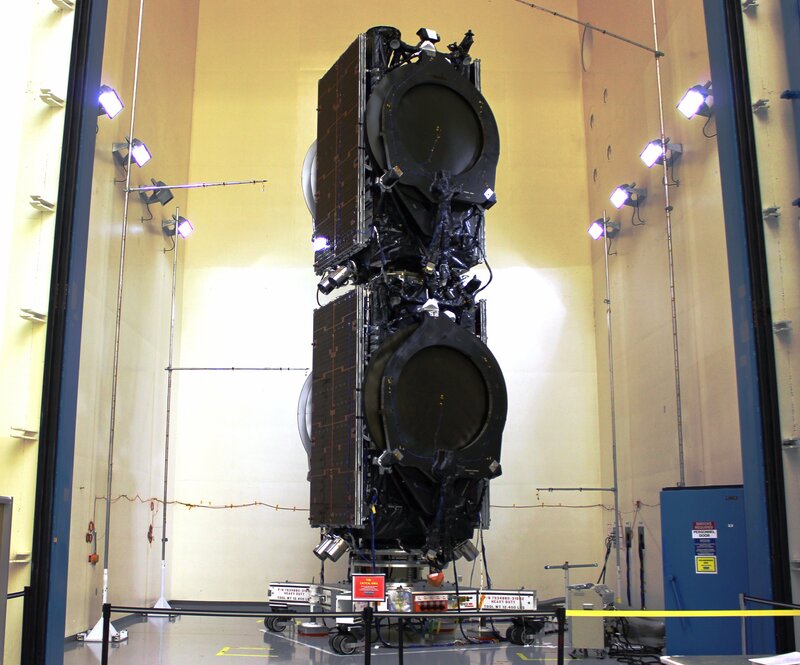 Aiming for liftoff on Wednesday, Falcon 9 will be carrying two stacked spacecraft built by Boeing Space Systems for satellite operators Eutelsat Americas and Asia Broadcast Satellite (ABS). This marks the second dual-payload launch for the two companies after the Eutelsat 115 West B and ABS 3A satellites headed into orbit aboard a Falcon 9 v1.1 rocket in March of 2015. With a combined payload mass of around 4,200 Kilograms and the increased power of the Falcon 9 FT launch vehicle, this mission will leave sufficient propellant margin on the rocket’s first stage for SpaceX’s next high-energy return attempt. The two most recent sea-based landings of the booster atop the Autonomous Spaceport Drone Ship have been a surprise as the vehicles were not expected to make it through a challenging re-entry environment. This mission will see similar conditions at re-entry, but previous flights have shown Falcon 9 is quite resilient – though it remains to be seen whether Falcon 9 can stand its fourth Drone Ship landing in a row. The ASDS ‘Of Course I Still Love You’ was seen leaving Port Canaveral on Friday to head to the planned landing location 680 Kilometers east-south-east of the Cape Canaveral launch site. 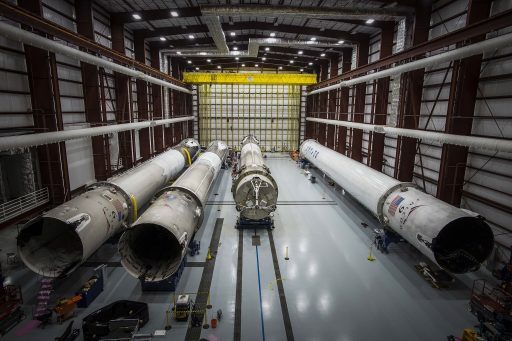 Other SpaceX activity at Cape Canaveral noted over the weekend was the departure of one returned Falcon 9 booster from the Horizontal Integration Facility at Launch Complex 39A where SpaceX had stored the four landed boosters for initial inspections. The booster, likely F9-024 from the JCSat-14 mission, is headed to SpaceX’s test site in McGregor Texas for component and hot fire tests. Also understood to be ready for its move its the Orbcomm G2 booster that touched down at Landing Zone 1 in December and will be put on display in front of its birthplace, SpaceX Headquarters in Hawthorne, California. The Thaicom-8 booster that returned to Port Canaveral earlier in June will likely complete testing similar to F9-024 while the SpX-8 first stage is looking forward to re-flying in an operational mission. SpaceX CEO and Chief Designer Elon Musk noted the current plan calls for the re-flight taking place in September or October. Multiple companies have expressed interest and flying on a used booster, though no announcement on that mission’s customer has been made yet. Satellite operator SES said earlier the company was interested in becoming the first to fly on a refurbished Falcon 9 booster and the SES-10 and 11 satellites are both lined up for launch on the Falcon 9 later this year. The Eutelsat 117 West B and ABS 2A campaign marks the third commercial GTO launch for SpaceX in a period of under six weeks, coming on the heels of the JCSat-14 and Thaicom 8 launches. A short break will come after this launch as SpaceX and NASA set up for the Dragon SpX-9 Space Station Resupply flight currently looking at a July 16 launch date, pending the usual fluidity in ISS Visiting Vehicle schedules. The launch campaign for this mission started within hours of the Thaicom 8 launch when the Falcon 9 launch vehicle arrived at the Cape, being delivered after a cross-country trip and the usual stop-over at McGregor for a complete test firing of the first and second stages. Assembly of the rocket was completed inside the hangar at Space Launch Complex 40 in early June and the two stacked satellites also finished their final inspections to be ready for encapsulation in the large Falcon 9 payload fairing. The Static Fire Test was originally set for Friday and Falcon 9 had moved to the launch pad in preparation for the short ignition of its engines. However, test was apparently called off a few hours ahead of the planned T-0 time because of spaceport services not being available due the Delta IV Heavy countdown that ran long on Thursday and ended with a weather-related scrub. Delta IV, carrying a classified National Reconnaissance payload, finally left the pad on Saturday, clearing SpaceX to complete the Static Fire on Sunday. As part of the test, the 70-meter tall vehicle was loaded with over 500 metric tons of rocket-grade Kerosene and sub-cooled Liquid Oxygen plus Helium tank pressurant and Nitrogen ACS propellant to test out all subsystems required for the launch. 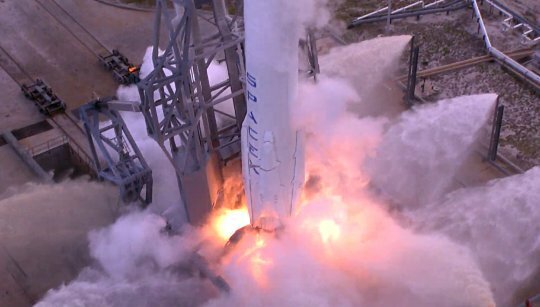 Held firmly to the ground, Falcon 9 ignited its nine Merlin 1D engines for a brief moment to allow them to build-up thrust and deliver data on their start-up sequence. After a controlled shutdown of the engines, the team headed into a quick review of the data to make sure the firing achieved its full duration before de-tanking the rocket. Data gathered during the test will be analyzed on Monday and lead into the Launch Readiness Review held on Tuesday. 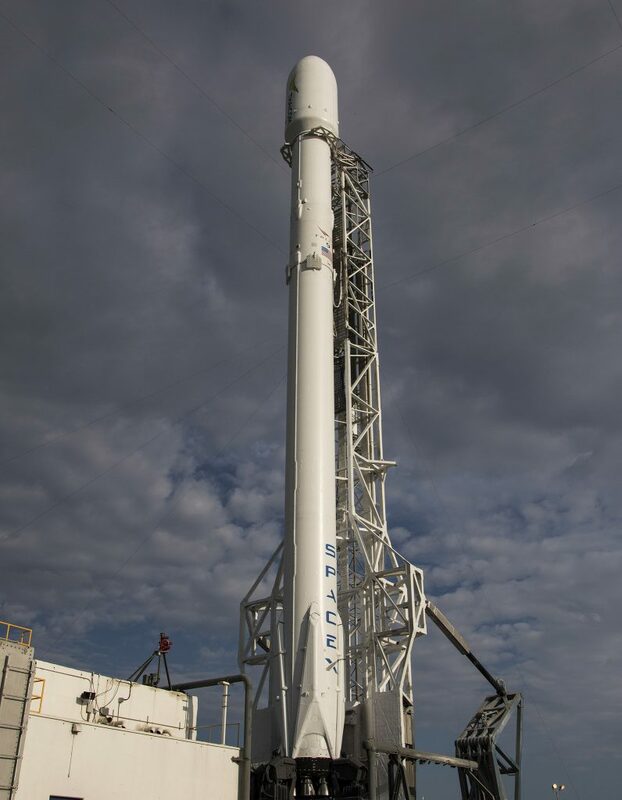 In the meantime, Falcon 9 will have its payload stack installed to be ready to roll to the pad again for a Wednesday liftoff, pending clearance from the LRR. Launch is set for a 44-minute launch window opening at 14:29 UTC, 10:29 a.m. local time. The flight will be very similar to the last two missions in that it also aims for a Geostationary Transfer Orbit – requiring the first stage to fire for just over two and a half minutes followed by a pair of MVac burns of the second stage, the first into a slightly elliptical Parking Orbit and the second to raise the apogee of the orbit. It is understood that the two satellites are aiming for a Supersynchronous Transfer Orbit. For reference, the 2015 dual-payload mission targeted an orbit of 410 by 63,950 Kilometers at an inclination of 24.8 degrees. For the first stage, this mission provides another shot at returning from a high-energy flight. No propellant reserve is available for a boost-back maneuver and the stage will fly on a ballistic arc until firing up three of its engines for a 20-second re-entry burn. Next is a one-and-a-half-minute atmospheric flight segment during which the four actuated grid fins are employed to guide the booster to the location of the ASDS. 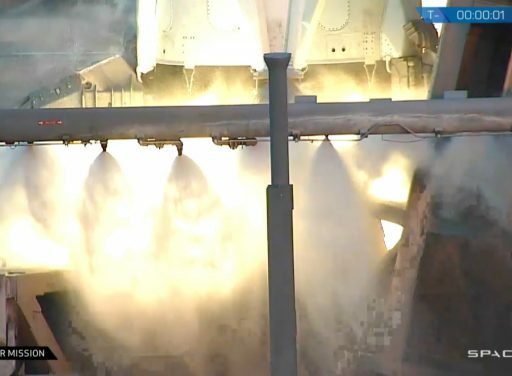 Three engines will ignite less than one Kilometer in altitude and fire for five seconds to slow the vehicle down followed by the shutdown of the outer engines to allow Falcon 9 to make its final descent powered by the center engine alone. If successful, landing would take place just over eight and a half minutes after liftoff. Weather is expected to be generally favorable with an 80% chance of acceptable conditions. 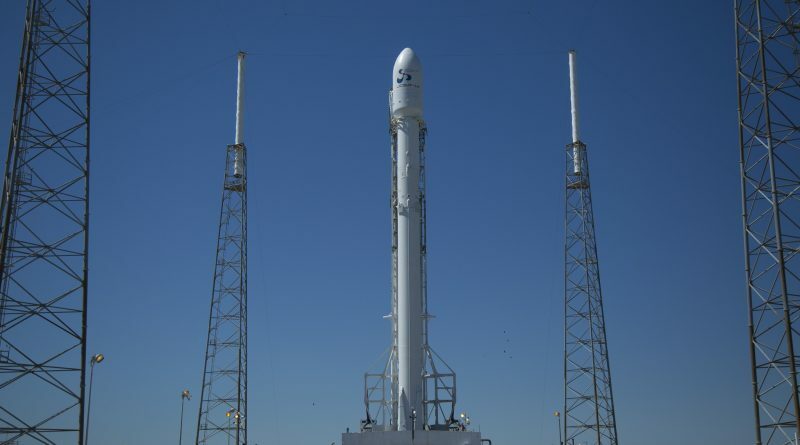 The window length of 44 minutes will likely give SpaceX only one chance at launching due to the need for de-tanking and re-tanking the vehicle for subsequent attempts due to the use of sub-cooled propellants. The primary weather threat are cumulus clouds that may build-up due to strong surface heating and light southwest winds. Upper level winds will not be an issue.